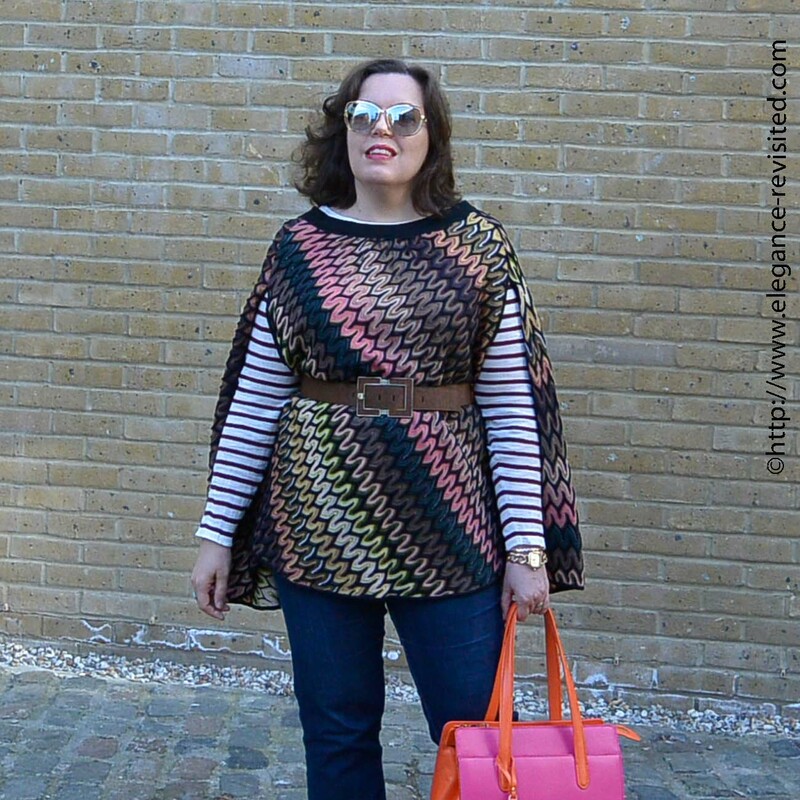 But, then I remembered this Missoni poncho I bought years ago. 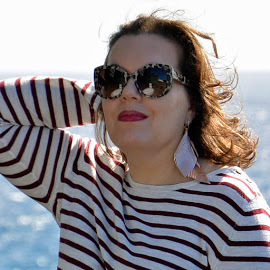 I’ve only ever worn it once or twice (and I’ve also worn it on the blog before) because it’s not what you’d call a very practical piece… For starters, the neckline is a bit too wide for my liking. But I still like the poncho: the colours, the pattern… It was an impulse purchase, more suited for the dream life I started creating in my head the moment I saw it than for my actual life (yeah, I have a lot stricter criteria for shopping these days, and only buy clothes that work in real life). But hey, a girl needs a few impractical statement pieces, too… Besides, the poncho looks fabulous with the bag, don’t you think? Any ideas what to wear with the bag? Next Post Do Cities Have Colour Palettes? Fantastic look! 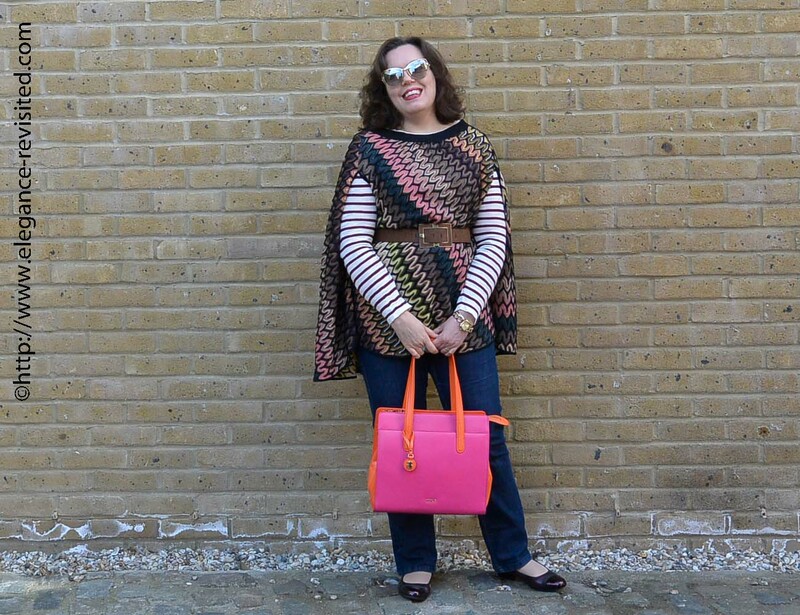 The pattern mixing with the Missoni poncho and stripey top is lovely, as is the gorgeously vibrant bag. Wow! The bag is spectacular. I can see why you'd consider it the centerpiece of an outfit. 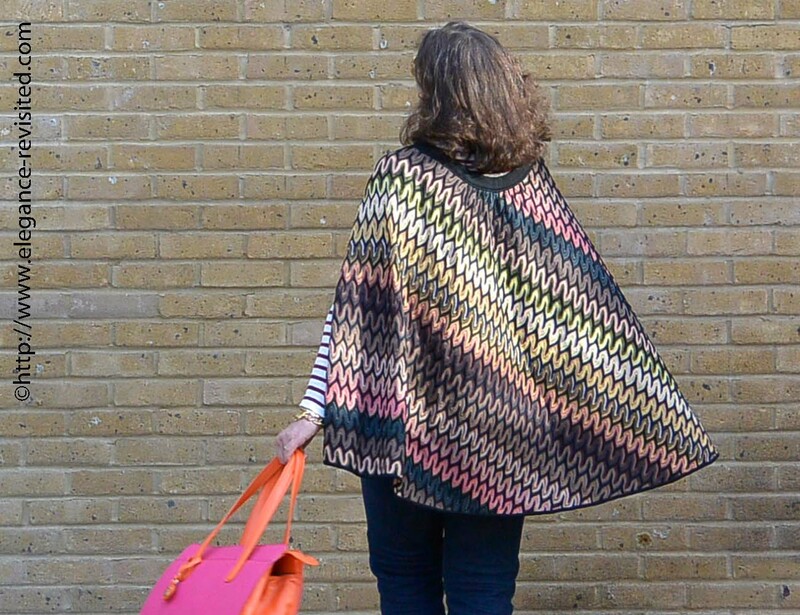 You do it justice with this poncho which gives the bag a run for its money. Love the entire ensemble. 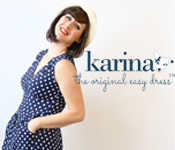 Thanks for linking up to Top of the World Style. Tha cape is interesting. I love your bag! I love love your poncho! I love how you have styled it! Tres Chic. 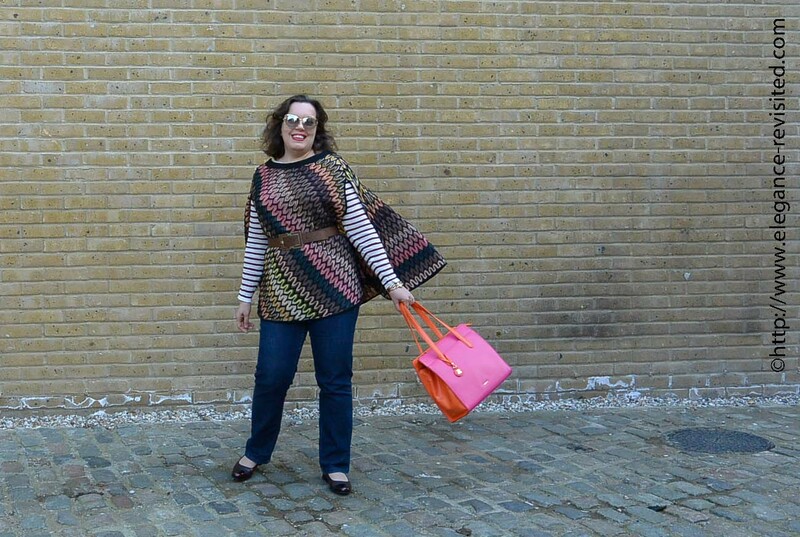 Goodness, I am not sure which I love more – the bag or the poncho! 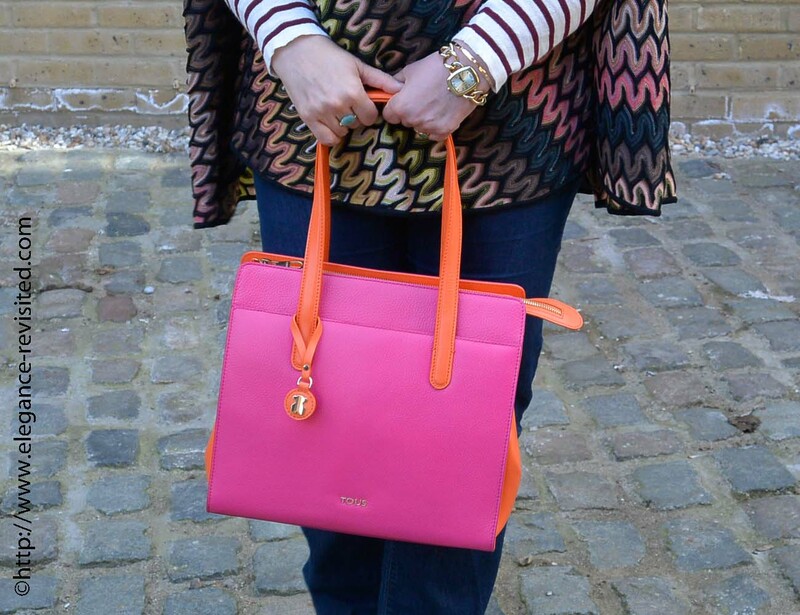 I really like the bright colors of your bag. The print and colors of your poncho are wonderful. It looks great belted and with your stripes. Thanks so much for linking up with Fabulous Friday! Also, I am currently looking for co-hosts, so I hope you will consider the opportunity, Tiina. I just had to get the bag, it's the colour combination… Now I just need to find something else to wear it with.